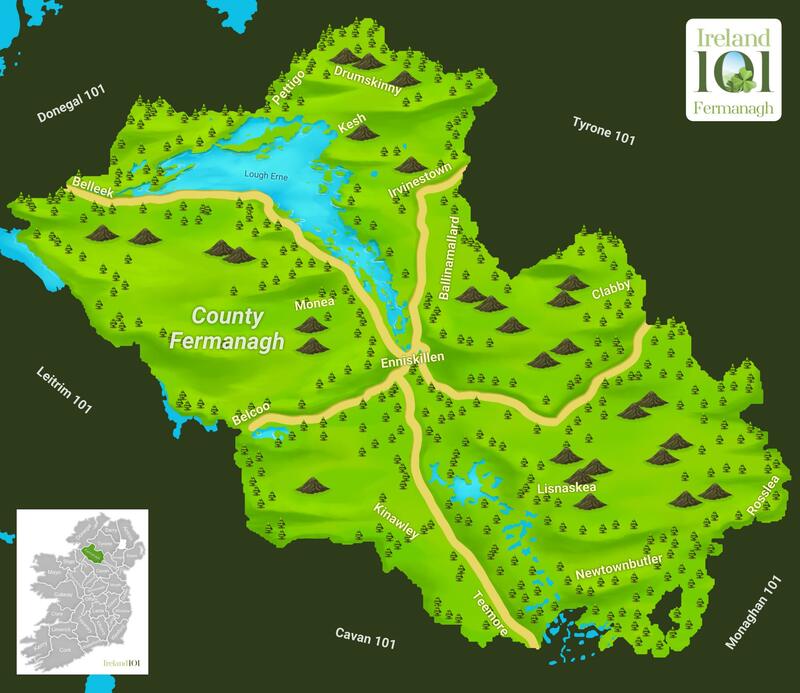 Bordering Co. Cavan to the south, Co. Fermanagh makes up the Northern Irish contingent of the Irish lakeland region. 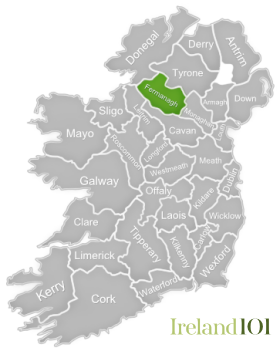 Situated right in the centre of the county is the county town, Eniskillen, which separates Fermanagh's two major lakes: Upper Lough Erne and Lower Lough Erne. 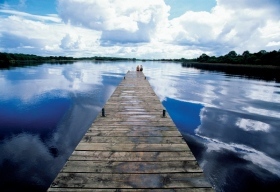 Fermanagh also has numerous waterways and rivers, including a canal that links Upper Lough Erne to the River Shannon, which have made it quite popular with boaters and anglers. 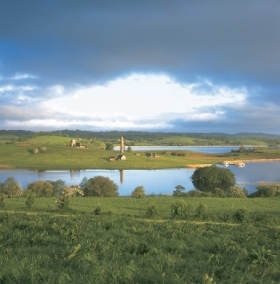 Co. Fermanagh is largely rural and agricultural, with the main industry here being livestock, including sheep, cattle and pigs. The county has a very low-lying, soft green landscape that is used mostly for grazing rather than growing crops. There are few mountains in Fermanagh, but the Castle Archdale Forest Walk treads along the Maghoo Cliffs, offering excellent views of Lough Erne. There are also a number of underground treasures in Co. Fermanagh, especially the Marble Arch Caves. This series of limestone show caverns is located near Florencecourt and is open for boat tours along the underground River Cladagh. 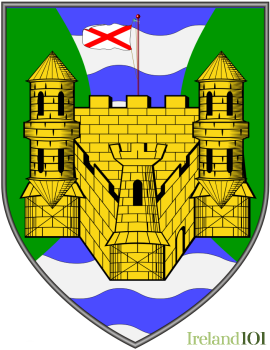 Several early castles around Co. Fermanagh nod to its Norman and Victorian history. 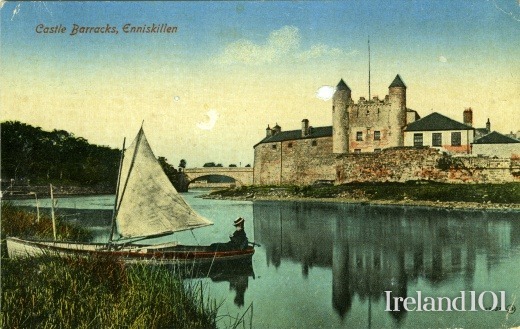 Eniskillen Castle in the county town was built for the Maguire chieftains in the 16th century, while the more modern Castle Coole is an 18th century, neoclassical mansion surrounded by a wooded estate. And on Devenish Island on Lower Lough Erne, the remains of a 6th century monastery and 12th century round tower give a view to the area's early Christian history. 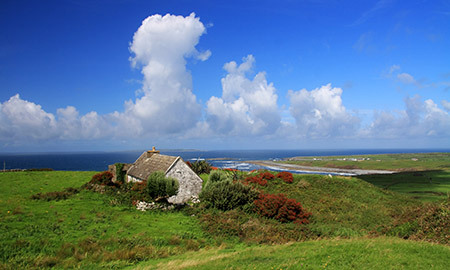 A number of famous people can trace their roots to Fermanagh, including U.S. President Bill Clinton, whose ancestral home is the village of Roslea. Both Oscar Wilde and playwright Samuel Beckett studied at Portora Royal School in Enniskillen, and Charles Lawson of Coronation Street fame is also from Fermanagh's county town. 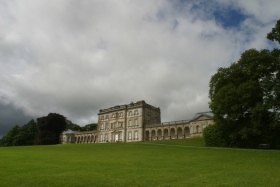 Former home of the Earls of Enniskillen, National Trust property, Fermanagh. Devenish Island (Irish Daimhinis, meaning Ox Island) is an island in Lower Lough Erne, north of Enniskillen, County Fermanagh. 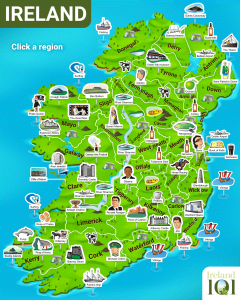 How much do you know about Fermanagh ?